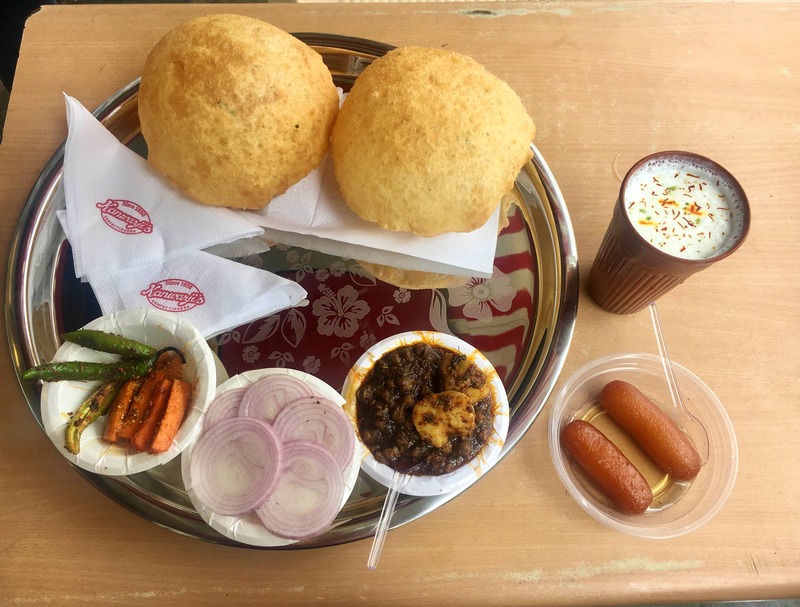 If you are in East Delhi, just head over to this outlet of the Delhi-6 famous Kanwarji’s in Saini Enclave. The place has some really tasty breakfast options This 10-year-old branch of the famous Kanwarji’s is now serving delicious Chole Bhature. On Sunday mornings, you can even try their Nagori Halwa or Aloo Bedmi. I order their chole bhature and lassi combo for the complete North Indian breakfast. You can also accompany it with their amazing gulab jamuns or spongy rasgullas. They also serve fresh and crispy jalebis, which I relish often. On a rainy day, you can even dig into their samosas or kachoris. NOt only this, Kanwarji’s is famous for its DalBiji, aloo ka lachcha, Pista Lauj and Badami Lauj. So load all of this onto your tea -time snacks shelf. Their latest addition, crispies, is available in four flavours- Chocolate, Mango, Pineapple and Strawberry and the kids just love these. Since they are experimenting with their menu, they have introduced gulkand paans which is a tasty way to end any meal.